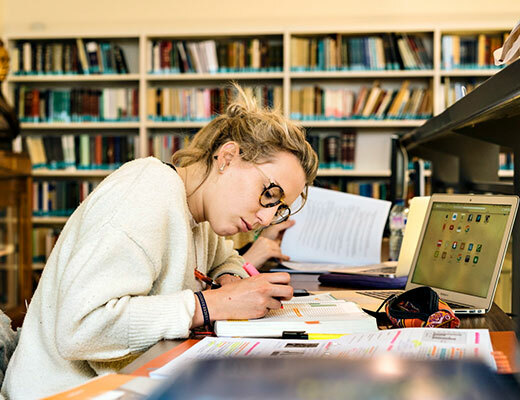 In year 2, students will have the opportunity to opt for an in-depth major programme in either Global Health Policy and Programmes or Advanced Research Methods and Tools, which they can compose themselves through elective courses. The elective courses for these majors will preferably focus on topics that are relevant to their internship and Master’s thesis. Students will already have been assigned a mentor in year 1 (their Master’s thesis supervisor), who will oversee the coherence of the curriculum. Particular attention will be paid to coordinating the elective courses chosen, the Master’s thesis and the internship. In addition to the Master’s thesis and internship, there are two compulsory courses in year 2. The aim of this course is to give students an insight into methods for synthesizing evidence to answer complex global health issues. Students will learn to understand evidence, critical appraisal of scientific studies, protocol writing for systematic literature reviews, guidelines and tools for evidence synthesis and basic principles of meta-analysis. This course focuses on leadership skills and aims to familiarize students with important skills needed to function professionally in the field of global health. It will deal with the following topics: theories in leadership research, different leadership styles, understanding your own leadership style, communication skills and networking skills. The Master’s thesis is a paper in which the student independently develops a research project. The student carries out a scientific study in an independent and creative way with regard to a topic concerning global health. The thesis can be seen as the end point of the programme, in which the acquired knowledge, academic and domain-specific skills and competencies are used to develop a standalone research project and bring it to a successful conclusion. The thesis is started in year 1, but the bulk of the work will be done in year 2. In the second year, students will undertake a 10-week professional internship in the field. The aim of the internship is to put global health thinking into practice, to acquire skills and practical knowledge, and to get a better view of the total domain of global health, including the various actors, specializations and career opportunities that this encompasses. The student is involved in all aspects of the work undertaken.